The St. Petersburg Swans saved their best for last. Entering Saturday’s Major League Footy Showdown Carnival on the heels of two losses that threatened to derail their once-promising 2018 campaign, the Swans came out firing on all cylinders against cross-state rival Miami Saints. Ripping to a 25-0 lead on their way to a convincing 1.10.5.75 – 3.1.19 win to salt away this season’s edition of the Florida Derby, two games to one. That result also extended the Bloods hope going into their nightcap versus a resilient Florida Lions line-up laced with young guns. After a creaky start that saw both sides tentative going forward, crawling to a 1.5.11 – 1.0.6 score at the break, St. Petersburg turned on the offense in the second half, as Aaron Crittenden, Jason Blackbourn and Ben McIntosh ignited the attack with three quick strikes to open the frame. The homestanding Swans would go on to turn back a brave Lions side, 5.8.38 – 2.1.13. In sweeping both games of the Showdown Carnival, the Swans finish the Major League Footy 2018 Premiership Season at 7-3, 28 points, and atop the MLF ladder as minor Premiers. 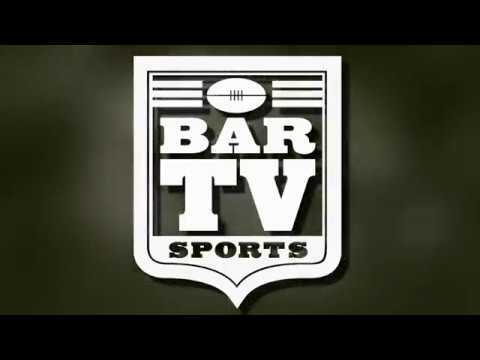 The St. Petersburg win also punches the Swans’ ticket for the 2019 Major League Footy Championship Final. An end-of-season shock result, perhaps – the Swans had lost by 51 to Miami earlier in the summer, and also blew a late lead to fall to Tampa Bay 110-100 in back-to-back collapses that blemished an early season run of success. Those troubles are now in St. Pete’s rear-view, and the next clash awaits. 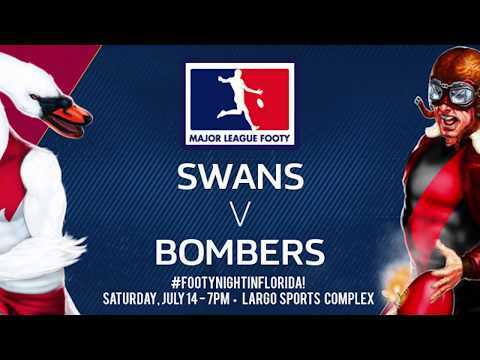 Next Saturday’s Preliminary Final will see the Tampa Bay Bombers (6-2, 24 points) take on Starfish FC (5-4, 20 points) in a matinee twin bill, with the winner facing the Swans on September 29.